Kiesecker et al. demonstrated disgust behavior in nature in 1999, and further research has shown that humans also exhibit disgust as part of the “behavioral immune system” [5, 8]. 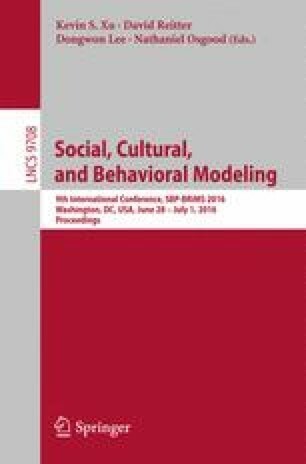 We present preliminary results from an agent-based model incorporating disgust as disease-avoidant behavior, the SLIPR model (susceptible, latent, infectious, presenting, removed), a modification and extension of the traditional SEIR model (susceptible, exposed, infectious, removed). The SLIPR model restructures the compartments of the SEIR model to allow for a distinct period of infectiousness occurring prior to visible disease presentation and extends it by simulating disgust as disease-avoidant behavior. SLIPR suggests that, for specific values of parameters such as disgust magnitude and population density, this disease-avoidant behavior significantly affects the spread of disease.